As a state rich in business incentives, professional hospitality and extremely low cost of living, Alabama provides many advantages for companies to make the move from all around the globe. Alabama has shown growth and profitability in several industries, including manufacturing, automotive, chemicals, technology, forestry and more. Alabama may be small in size, but its ability to accommodate businesses seeking success is vast. Companies like Mercedes, Airbus, Hyundai and Honda decided to call Alabama home and haven’t turned back. Plus, with low sales and income tax rates, affordable utilities, and low cost of living, we make it easy for businesses of all kinds to keep more of their hard-earned money. We don’t just want companies to move here – we want them to thrive here. Alabama sits at the heart of the fastest growing region in the United States. Comprised by a network of thousands of roads, plentiful airports, inland waterways, and proximity to the 9th largest seaport in the United States, Alabama is as easy to access as it is a choice for businesses. Alabama’s accessibility includes 6 Interstates – totaling 1,126 miles, 90 Public Airports, 9thlargest deep-water seaport in United States – Port of Mobile, 4 Class-1 Railroads – totaling more than 2,500 miles of rail, 19 U.S. Highways – totaling 3,852.85 miles, and 5 cargo airports. Alabama can provide your business with a prospering community, full of innovative opportunity for growth and profitability. After learning the advantages to our state, why not make the move to Alabama and put your business on the map. Are you ready to join Alabama’s prosperous businesses? 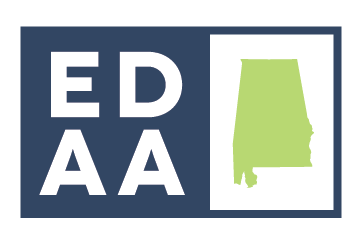 Learn more about our booming community and stay connected to what’s going on in Alabama by signing up for our newsletter!